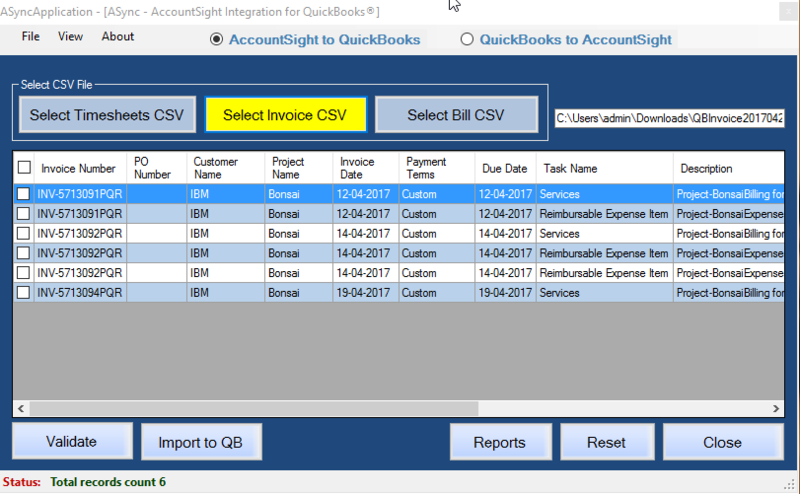 Export invoice data in CSV format from your AccountSight report (Reports > Invoices) . 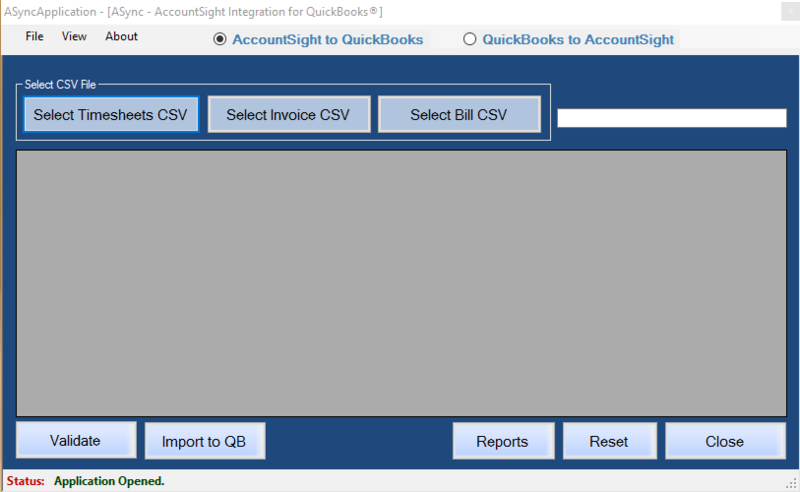 CSV file contains converted values in case of custom mapping for QuickBooks. You can update the default mapping to No on mapping option 'Do you want AccountSight XXXXX Name to exactly match QuickBooks XXXXXX?' under each tab (Invoice Item (Item), Payment Terms, Customer and Project) to enable your custom mapping. Invoice Item (Item) 1. Default Option 'Yes' for 'Do you want AccountSight Invoice Item Name to exactly match QuickBooks Item?' 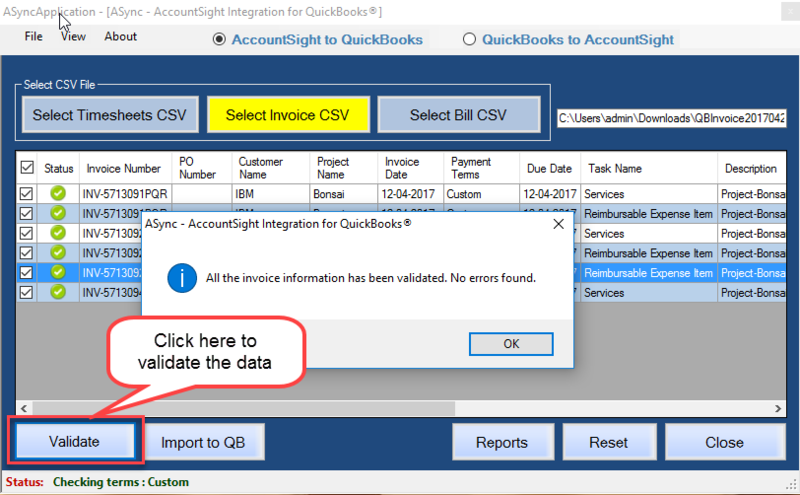 will require each Invoice Item in QuickBooks be setup with same name as AccountSight. 2. If you select No, you can map each Invoice Item to a specific Item. 1) Login to your AccountSight account as the admin. Go to Reports -> Invoice tab. Use the filters to choose the Customer, Project, Invoice Status and other options. 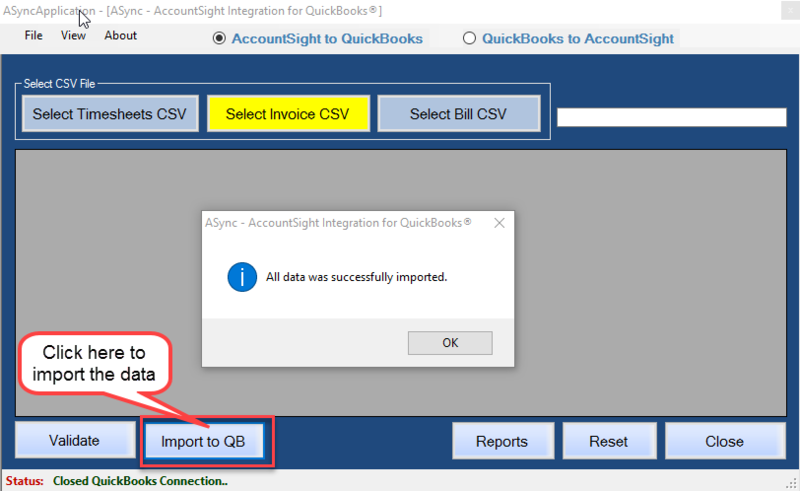 Click on the QuickBooks Export button to save the filtered data in proper CSV format. 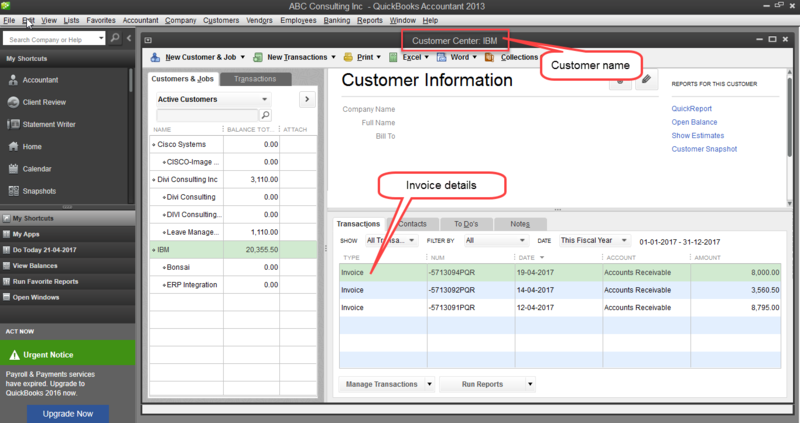 Now you can check in your QuickBooks UI that all the invoice data from the CSV file has been successfully imported there.